This is quite an overdued post as I’ve been rather busy with the last few weeks of my pregnancy. It is probably also my last entry before I pop and I expect it to be some time before I will have time again to do reviews. I’ve always been using Essential’s leave in serum/milk since it first appeared on the shelf. After the first update, the pink and orange bottles became a day and night use serum/milk. 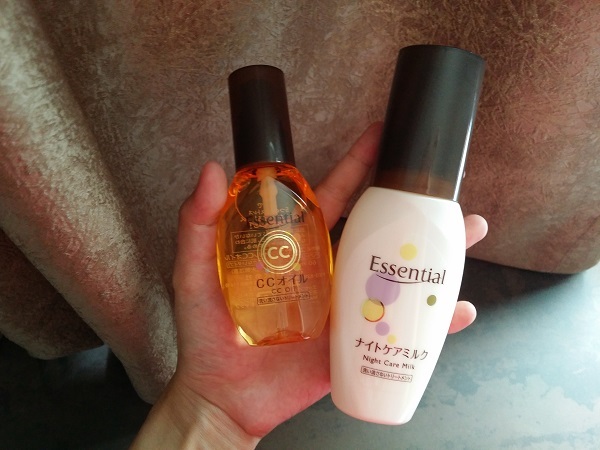 I continued using the orange bottle (night milk) because the formulation was closer to the previous version. 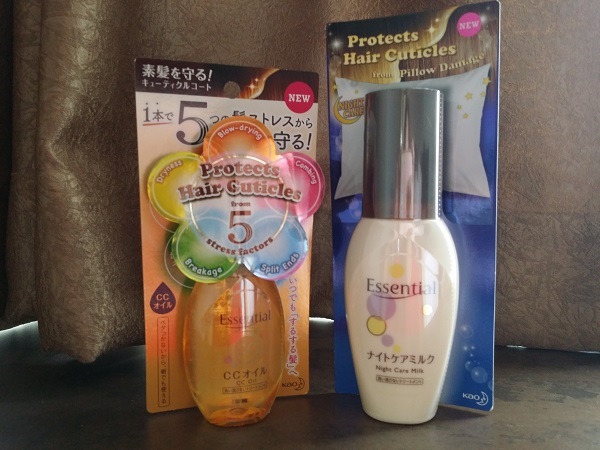 Essential has improved the formulation again and I was invited to try the new products. Thanks Essential and The Sample Store! Introducing Essential’s new CC Oil and Night Care Milk! I’m quite sure you’ve heard of how heat styling, perming and dyeing your hair too much can damage it, but I’m not sure if you’re aware that there are external environmental factors and some everyday habits that can affect your hair’s health as well. That’s where Essential’s CC Oil and Night Care Milk come in to help protect your hair from these nasty factors. Blow-drying — This process removes moisture from both inside and outside of the hair leaving it dry, brittle and susceptible to further damage. Combing — Combing through wet hair causes damage to hair follicles as they are in their most fragile state. Friction from combing through dry hair can form hair knots and make hair prone to breakage. 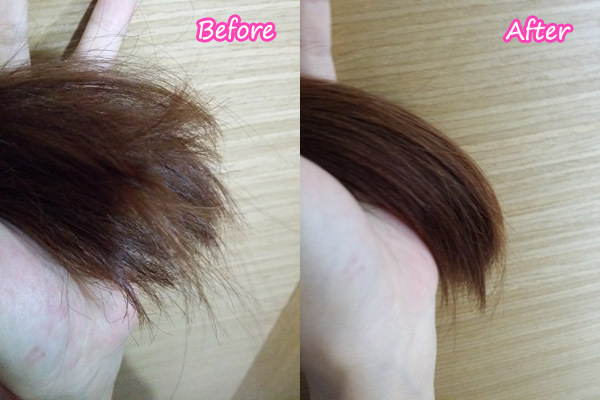 Split Ends — Fraying of hair shaft particularly at the ends which are the oldest and driest parts. Hair Breakage — Daily actions such as tying your hair into a tight ponytail or twirling your hair round your finger can exert excessive stress on your hair, resulting in breakage. Dryness — Hair cuticles that are weakened from excessive exposure to sun, wind or even air conditioning can cause dryness. Essential’s CC (Cuticle Care) Oil is meant to protect your hair from these five stresses. 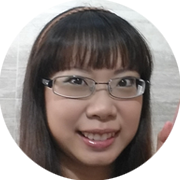 It shares the same ‘multi-functional’ concept of BB or CC cream in cosmetic products. What the CC Oil does is to form a protective layer around each hair strand, leaving you with less tangly and more manageable hair. Use the CC Oil on towel-dried or damp hair. Spread it evenly in your hair, concentrating on the mid-length to the tips. There is no need to rinse the oil off. There’s also another factor which can harm your hair that you might be unaware of. Every night while you sleep, your hair rubs against your pillow. The friction can cause damage to your hair. You know how sometimes you wake up with your hair all frizzy, looking like a lion’s mane? Pillow friction causes misaligned cuticles which creates that frizz. While washing your hair can get rid of that ‘big hair’, why go through the hassle every morning when you can have more beauty sleep? That’s where Essential’s Night Care Milk comes in. It is formulated to protect your hair against pillow friction by forming a protective coat around each hair strand and preventing misaligned cuticles when your hair rubs against the pillow. Use the Night Care Milk on towel-dried or damp hair, or before blow-drying. It can also be used on dry hair. Spread and apply the milk evenly onto your hair, concentrating on the mid-length to the tips. There is no need to rinse the product off. For better results, do make sure that your hair is completely dry before going to sleep. 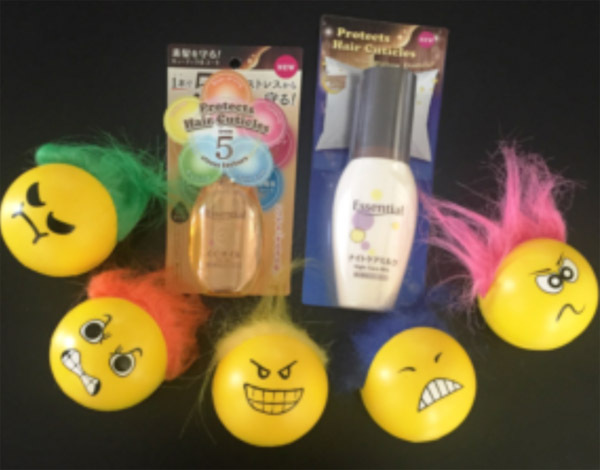 Both products come with Cuticle Care Protection that leaves hair smooth and tangle free all day. They also contain hair supplement oil which is similar to your hair’s natural oil. I’ve always had great faith in Essential’s leave-in products. Wasn’t disappointed this time as well. Because I couldn’t go rebond my hair while pregnant, I’ve been relying a lot on leave-in products to ‘cure’ my dry and frizzy ends. I found the CC Oil a little too light but definitely didn’t leave an oily, clumpy feel after usage. Much preferred the Night Care Milk which is rich yet non-greasy. Definitely saw a difference in the morning. Both products are retailing at $11.90. There’s Badass Breakage Stress, Brazen Blow-drying Stress, Despicable Dryness Stress, Spiteful Split Ends Stress and Cruel Combing Stress. Essential even created a Facebook game featuring the five stress brothers, the Pesky Pillow King and Mane Hero. Play the game and stand to win attractive prizes!